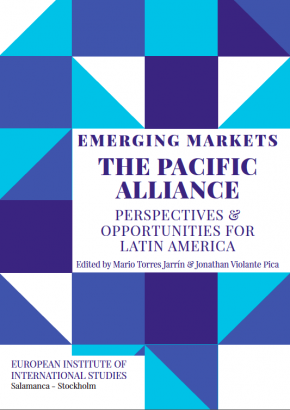 In short, this book aims to present a deep and meticulous analysis of what the Pacific Alliance is so far. Beyond delving into an informed explanation of the process of regional integration, the book tries not only to offer a landscape of untapped opportunities that may potentially contribute to the success of the Pacific Alliance but also to make serious recommendations in areas that may present substantial challenges for the Pacific Alliance. This paper analyzes the main features of Chilean trade and investment treaties, examining if there is a Chilean pattern in the regulation of trade and investment flows or if it is influenced by agreements signed by Chile with developed countries. The article also examines if there are differences between the treaties signed by Chile and other “Southern” developing countries and those negotiated with “Northern” developed economies, and if sustainable development concerns are part of the negotiations of trade and investment agreements by Chile. This paper discusses some of the challenges related to integration and cooperation in Latin America. It examines the 2030 Agenda for Sustainable Development, a clear platform that involves every country in the region, as well as various actors, and trade negotiations in the twenty-first century, in particular, mega-regional agreements whose scopes are limited to a few countries. Latin America is currently exploring the possibilities of convergence and cooperation in a context of diverse geopolitical interests. This will require adopting a flexible and inclusive approach. The experiences of Asia and Africa in this arena will undoubtedly be relevant. Achieving convergence will be crucial to fostering cooperation and coordinating policies to respond to the challenges of globalization. The region will also have to find new resources and models for national and international funding. Este artículo trata algunos desafíos de la integración y cooperación de América Latina. Se analiza la Agenda 2030 para el Desarrollo Sostenible, una plataforma clara que involucra a todos los países, una multiplicidad de actores y las Negociaciones Comerciales del siglo XXI, en particular, los mega-regionales cuyo alcance se limita a algunos países. América Latina y que actualmente explora las potencialidades de la convergencia y la cooperación en un contexto de intereses geopolíticos diversos; ello requiere adoptar un enfoque flexible e incluyente. La experiencia de Asia y África en este tema es sin duda relevante. Lograr la convergencia es crucial para estimular la cooperación y coordinación de políticas ante los retos de la globalización. Es necesario contar con recursos y nuevas modalidades de financiamiento nacional e internacional.